Camargue. 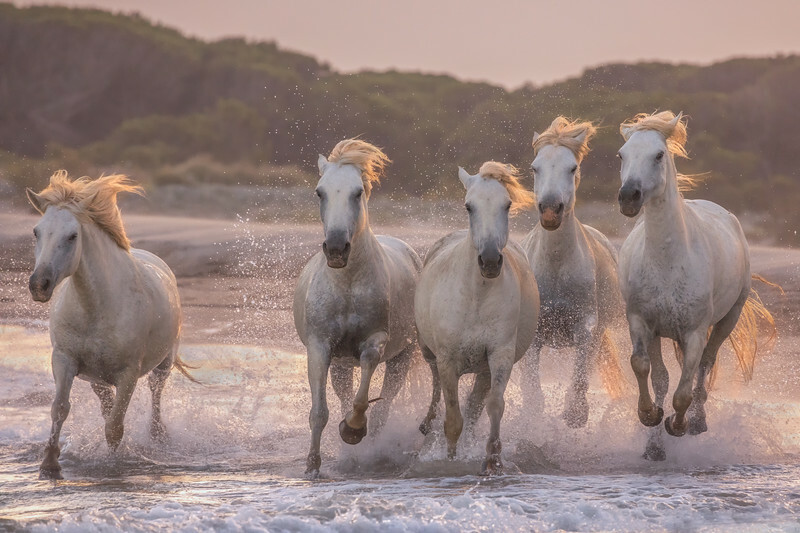 These semi-wild light gray, almost white horses live only in the south of France in the Rhone delta. Sometimes they are called "sea horses". These animals are unusually very strong and beautiful!